Navigating the editing process and contributing knowledge to Wikipedia! This page will help you find relevant links and information about editing and creating new articles on Wikipedia. Anyone can edit the articles of Wikipedia. 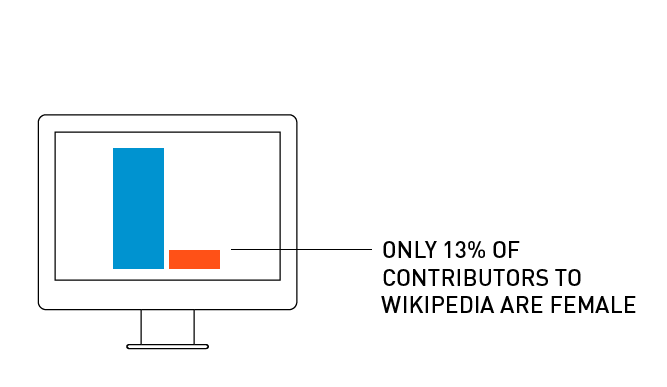 With a bit of information, you'll learn how to make your edits stick, and start changing the demographics of wikipedians. Verifiability, no original research and neutral point of view are Wikipedia's core content policies. Below you'll find four points that will help you understand the basic tenets of Wikipedia. Just like any other encyclopedia, Wikipedia articles must not contain original research. That means that whatever information you are adding in should be published materials from acceptable and verifiable sources. At the core of Wikipedia is the concept of verifiability, where all sources can be proven to come from a reliable source. "Editing from a neutral point of view (NPOV) means representing fairly, proportionately, and, as far as possible, without bias, all of the significant views that have been published by reliable sources on a topic." To begin choosing what you'll write your article about, you'll need to make sure to pick a topic that can be proven notable. "On Wikipedia, notability is a test used by editors to decide whether a topic can have its own article. Information on Wikipedia must be verifiable; if no reliable third-party sources can be found on a topic, then it should not have a separate article. Determining notability does not necessarily depend on things such as fame, importance, or popularity—although those may enhance the acceptability of a subject that meets the guidelines explained below." To make sure your article sticks, you will need to have a minimum of three third party sources that are verifiable. Good examples of sources include press coverage, published books, newsletters.. Anything that is independent of your subject. Sources that will not fly include personal websites, many press releases, and "any publication put out by an organization is clearly not independent of any topic that organization has an interest in promoting". Come up with a spiffy username and create your account. Select a topic of choice after making sure that is is noteworthy enough for this encyclopedia. If there is already an article with the same title, you may need to disambiguate. To create a new page, you can search Wikipedia for the article in question to make sure it doesn't exist, or go right ahead and start a new page. You can use this template to help you get started! You can use the “Show Preview” button to preview your page. The most important part of the editing process is citing materials properly, and when creating a new page, waiting until you have THREE sources listed before saving. This will prevent your page from being deleted at the onset. 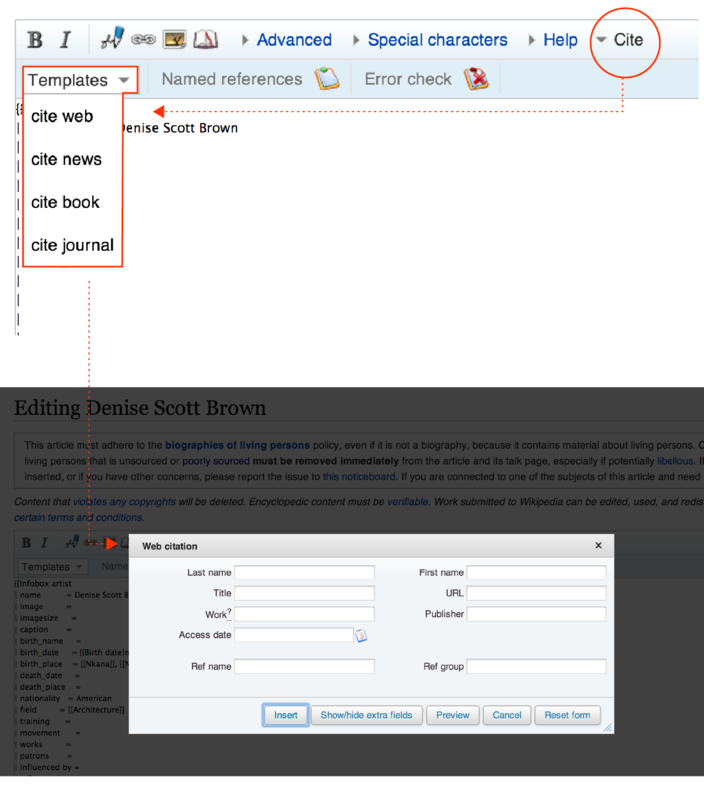 Here are images of the Editing Toolbar as well as the Citation Template that helps you properly cite materials. Simply choose which type of source material you are working with from the "Cite" drop down and the template will populate for you to fill in the necessary information. Hit save and watch your article live among the thousands of others on Wikipedia. with the “Save Page” button. This will help it stick!